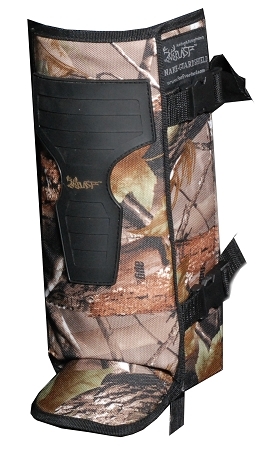 Snake-Guard Shield protectors were designed to protect out-doorsmen including hunters, campers, and ATV enthusiasts from brushy structure and especially snakes. These lightweight shields provide peace of mind so that you can simply enjoy the outdoor experience without worry of a trip to the emergency room. Stylish in design and coloration they can be matched to just about any environment and purpose. Available in Real Tree Camo APG. G2 Series new look for 2010!